Plasma may not be the best for TVs anymore, but it may have a better run at growing bones. It is a bit ironic that plasma is the least known state of matter, when in fact it is the most abundant in the universe. It is found in our Sun and all other stars, lightning, in our TVs, fluorescent light, and neon signs, and (purportedly) even in our favorite fictional weapon in the Star Wars universe, the lightsaber. Plasma can be classified according to the degree of ionization, temperature, etc, but whatever form it may take, plasma has been used in various fields, such as in spacecraft propulsion, agriculture, and quite recently, in medicine. In a study recently published in Journal of Tissue Engineering and Regenerative Medicine, a team of scientists avers that cold plasma could help improve bone development. The study shows that cold plasma can be modified to influence bone formation and chondrogenesis (process cartilage development) by chemically altering the matrix. 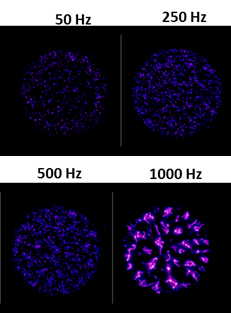 The scientists were able to demonstrate this by experimenting on Matrigel — a commercially available extracellular matrix — which they treated with microsecond and nanosecond pulsed cold plasma at different frequencies.Their findings reveal that the matrix treated with microsecond pulsed cold plasma had a significant increase in bone growth, while the nanosecond pulsed treatments showed a significant decrease in bone formation.